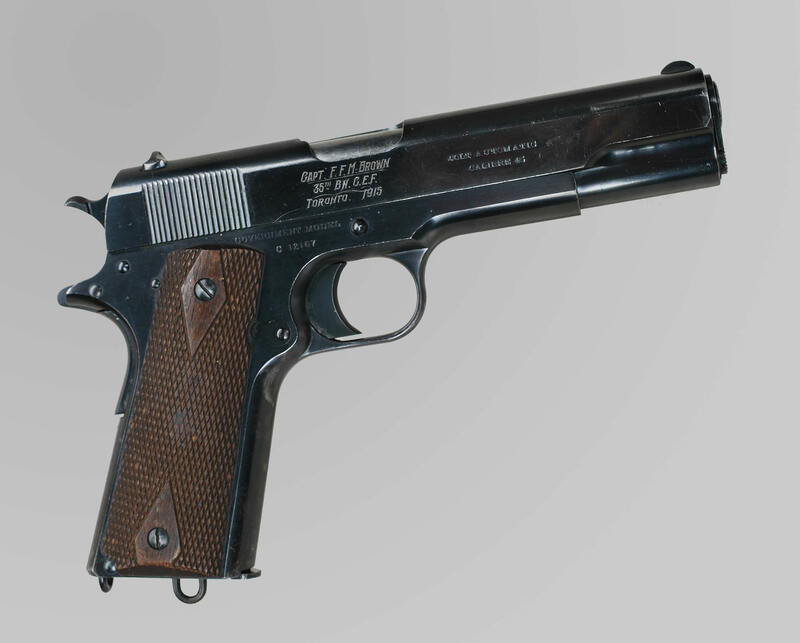 In 1914, the Department of Militia and Defence purchased 5,000 semi-automatic pistols from the Colt Company of the United States for use by officers and non-commissioned officers of the 1st Canadian Division. The new 'Government Model' pistol was a semi-automatic holding eight .45 calibre cartridges in the detachable magazine housed within the grip. The owner's name and unit, Captain F.F.M. Brown of the 35th Battalion, are etched on this example.